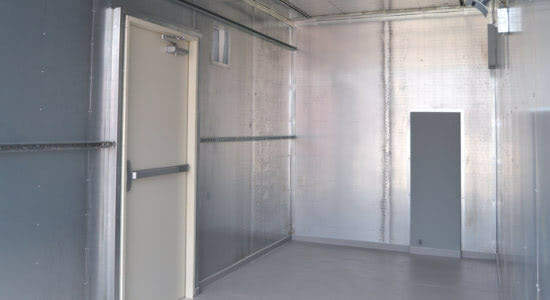 A leading water treatment OEM (Original Equipment Manufacturer) contacted Falcon Structures to develop a modular shelter for a power plant's water treatment equipment. This OEM provides conventional to highly technical water treatment solutions for the energy, utility, and municipal markets. They are known as an innovator in the industry for creating cost-effective, energy-efficient, and environmentally sustainable solutions. When Falcon met with the OEM, they asked us to help them overcome one key challenge: creating a financially feasible domestic water treatment equipment shelter solution that would cost half as much when built overseas. Typically, OEMs would turn to a stick-built shelter made from cinder blocks or concrete. Fiber glass shelters are also a popular option. However, custom building either of those solutions is expensive and time consuming. The OEM's customer needed a less costly and less disruptive option. 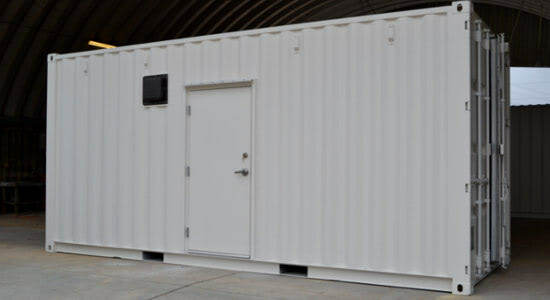 After gaining a solid understanding of the OEM’s goals and technical requirements, Falcon’s engineering team created a cost-effective, modular shelter by augmenting a 20-foot shipping container. Modifying an existing container to hold the equipment lowered the cost of the project, and enabled plug and play set up. 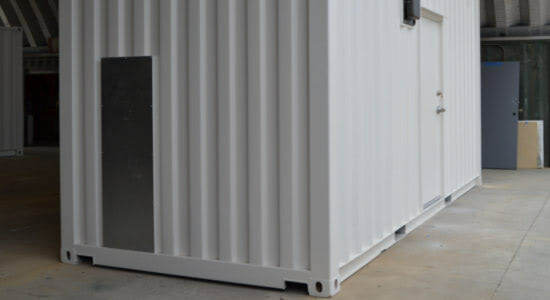 With close communication, Falcon and the OEM found innovative ways to accommodate the power plant's requirements within a 20-foot container's footprint. 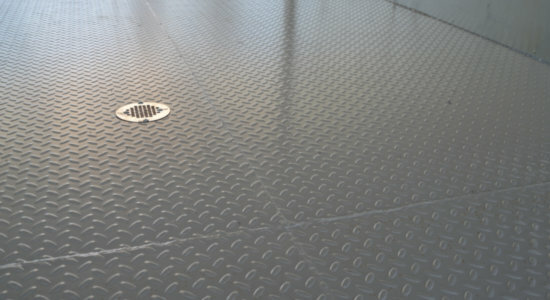 Full seam welded, epoxy coated, metal tread plate flooring for liquid containment. Multiple pass-through points for pipes and conduit. Moving forward, the new shipping container modular shelter design will be among the OEM’s preferred solutions. Also, learn how containerizing water treatment equipment also streamlines membrane bioreactor (MBR) plants. If you have questions, reach out to us at 877-704-0177 or sales@falconstructures.com.